An ERP system or enterprise resource planning software lets you control and manage a range of different business practices, across a number of different roles and functions. 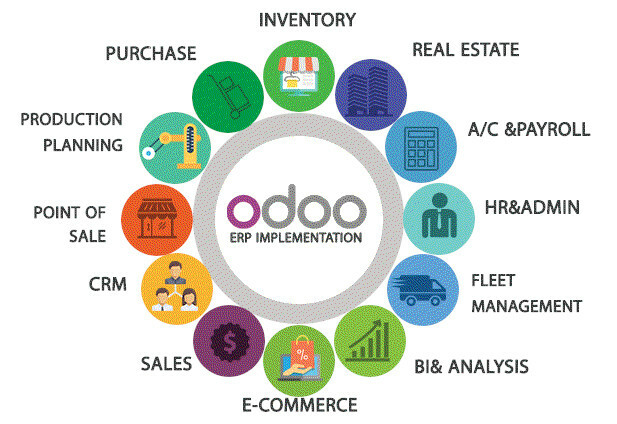 Odoo is a popular open-source ERP that includes all of the standard features you would expect, while also offering a range of extra modules to let businesses perform the exact tasks that are important to them. This allows businesses to connect a wide range of different systems and coordinate different areas of the business in one place, and ensures that they all work together properly, saving time and money. 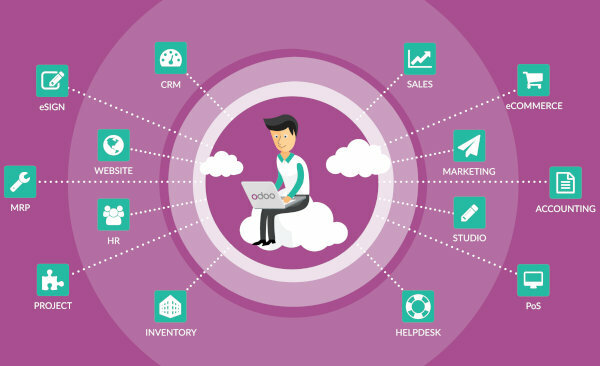 Odoo is equally well suited for use by new start-ups, SMEs, and larger businesses alike. 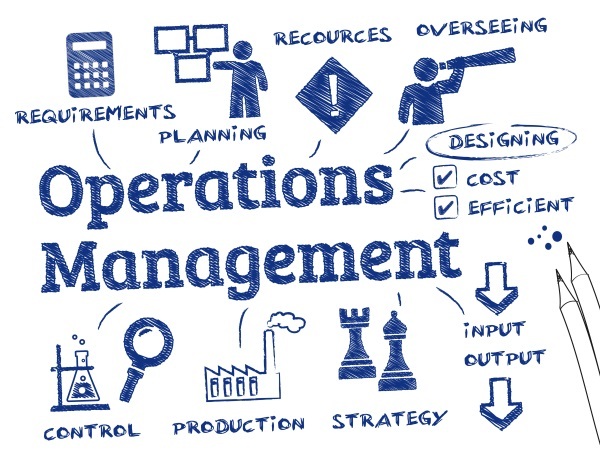 Odoo is the most popular open source ERP system for businesses of all types, offering a full range of resource management solutions for all purposes. With millions of happy customers and over a thousand official partners worldwide, Odoo implementation in Lebanon has never been easier or more accessible. It offers access to over 13,000 modules to suit every possible business need, and features ongoing product development to help fast-moving businesses to stay ahead of the competition. As a top quality, comprehensive ERP solution at a reasonable cost, Odoo customization in Lebanon and beyond is now available to everyone, offering a quick, efficient solution to all of your ERP system needs. So, what can Odoo do for you? Here are some of the main features. Save time managing leads, tasks, and issues by automating key tasks like notifications, communications, caseload priorities, and complaint resolution. Warehousing and stock control management has never been easier; use Odoo to structure and manage supply chains and control inbound and outbound stock and resources remotely. Manage and control your customer orders, and automate the ordering process – including invoicing and delivery. Centrally manage all of your manufacturing operations with multi-level BoMs, work centres, and routing options. Track work orders and build in planning measures to ensure a match between supply and demand. Need to manage lots of tasks and projects across the business while giving access to users in other areas? Whether lumpsum projects, timesheet-based or other models, Odoo’s toolkit helps you to handle projects, automate notifications, and give priority to time-sensitive tasks. It also allows automatic built-in invoicing so that you can track invoiced and pending projects, offering a quick way to analyse costs and profits per project. The comprehensive accounting module includes accounts payable and received, general ledger, budgeting and tax management, and much more. Automate electronic bank reconciliations, invoicing and cashflow, and manage assets and budgets when and where it suits you. Odoo’s complete accounting module offers a full range of analytics, prediction tools, and management options too. Track quotes and orders and automate purchasing when stock is low with your choice of invoicing and tracking solutions. Send RfQs to suppliers at your chosen stock level, and set your own rules to improve the performance of your inventory, purchasing, and procurement systems. Manage all of your PoS needs including inventory management, sales, invoicing, and cash registry, to provide a complete overview of your business operation’s status. This is just a snapshot of some of Odoo’s most popular features; find out more or get help and support with ERP implementation in Lebanon or further afield with Azkatech today. Good Odoo companies Lebanon wide and further afield will take care of the set-up and implementation for you, so that you’re all ready to hit the ground running. Here is an overview of how Azkatech handles Odoo implementation. Lebanon businesses both large and small can benefit from this unique ERP – contact us now to find out more. We take the time to really get to know your business and what you need, in order to provide the most appropriate solutions. Working closely with you to find out the challenges your business faces, we will design the perfect ERP to meet your needs. When we have built up a thorough understanding of your business’s needs, Azkatech will develop and customise the best system to serve your business. This is all done in accordance with the accepted industry standards to ensure a trouble-free transition between your new ERP and your existing software. Azkatech offers plenty of flexibility in the set-up and configuration of your new software, providing the right tools for your business and offering the best functions with the right blend of customised modules and personalisation to suit you. A smooth, seamless transition from your current ERP to Odoo is vital to avoid problems when your new system goes live, and Azkatech takes the security and privacy of your business data very seriously. We take care of the data migration and switch-over between your current systems and Odoo, ensuring that everything runs smoothly throughout the process. As part of our full Odoo implementation service, we will make sure that you and your team are all ready to get to work before we leave you to it. We can offer full training remotely using tools such as Skype, phone, and email. Azkatech offers full support to Odoo users, and we’re always here to provide help and advice if you need it after installation. Whether you want to add new modules, troubleshoot problems, or simply want to make sure you’re getting the best out of your new system, we are here for you when you need us. Why Choose Azkatech for Odoo development? Azkatech, one of Odoo companies in Lebanon, is a Beirut-based international software development company, Odoo developer Lebanon and official Odoo partner in Lebanon. We pride ourselves on both our technical skills and our customer service, and work hard to provide complete software solutions for all business needs. With over twenty years of combined expertise within the Azkatech team of ERP professionals, we have the skills and know-how to help you to get your ERP right first time, without any problems. A local company with global experience and one eye fixed firmly on the future, Azkatech is an innovator of ERP customisation and implementation, so choose us as your Odoo Lebanon partner to help with all of your resource management requirements. We help businesses to reduce their admin time, control business systems, and manage the information they need to use and share to succeed. This boosts productivity and cuts costs – leaving you to get on with running your business. With many satisfied customers both within Lebanon and beyond, and are equally skilled at working with both the Enterprise and Community versions of Odoo software. Get in touch now to find out more about how Azkatech can help you with Odoo implementation Lebanon wide and further afield.